Last night I woke up in the middle of the night feeling the kind of sick I would only wish on my worst enemies or coworkers who don’t believe me when I’m sick, so I crawled out of bed to the bathroom to wait the night out. 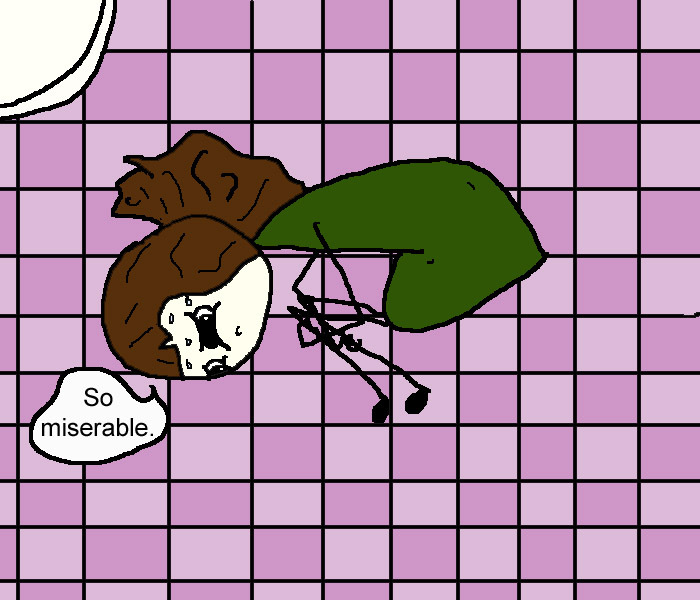 Between bouts of wanting and not wanting to throw-up, I laid on the cold bathroom floor, convinced I was currently the most miserable person in existence. Suddenly though, I was aware of a new sensation. It felt like my skin was moving. Since it was the middle of the night, I wasn’t wearing my contacts, but I thought I could see something moving toward me. I could tell it wasn’t a white light, so I could only conclude that the angel of death was a dark evil and not just a Thin Lizzy song. So it wasn’t death. 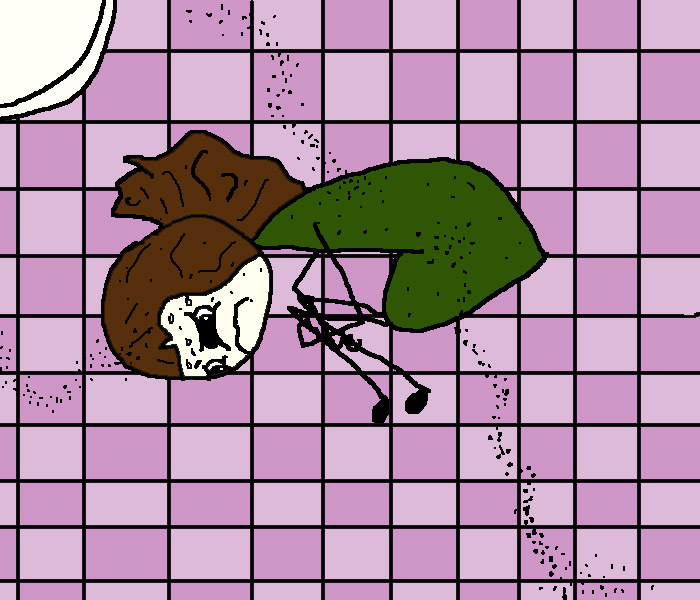 Between the two hours of me going to bed and then getting back up again my bathroom had been overtaken by ants. Now I was the most miserable person in existence. This entry was posted in Observations, Paranoid and tagged angel of death, ants, bathroom, humor, life, nature, sick, stomach, Thin Lizzy. Bookmark the permalink. So sorry that you were so crook but damn it, thanks for the good laugh! There is no situation that cannot be made worse by an invasion of ants. Hope you feel better soon! I hope you get better – but I’ve got to tell you I loved your cartooning 🙂 I don’t know how you did a blurry image though – very clever! Better than the film Hangover where Alan goes to the bathroom to find a tiger. But bless you anyway and I hope you feel better now. 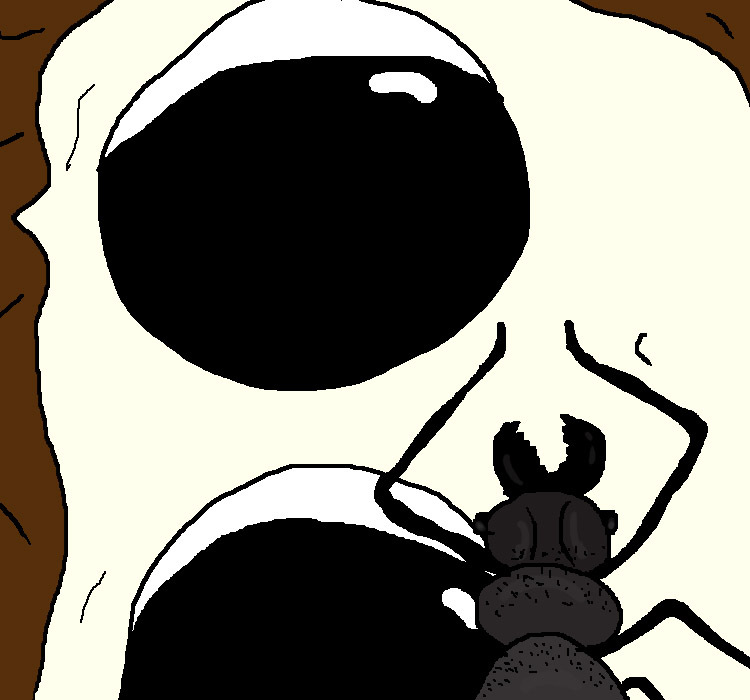 I once ate giant roasted ants from Selfridges… and promptly threw up! I think ants and throwing-up are intrinsicly linked. You seem like a real person, Andrew, but you link yourself to a bailiff site. Is that your site or are you a really good spammer? The swarm of ants would have definitely been just the push I needed to throw up! Ewwwwww. Made me laugh but then I remembered schadenfreude and stopped as I have been on that cold floor trying not to puke. Thank goodness there were never ants as I would have expired.My life is a series of running around with windex trying to kill ants and flies. Thanks for the laugh, I will now read all your other stuff. You were laying there, almost lifeless, a cold, pallid slug: They were coming to worship you at the altar of your immense immobility as their new Queen. All Hail, Queen Rae !